Start the year as you mean to continue, make sure you have all the tools for success. Where do people go when they're ready to buy? What's in every home and business on the Rock? Where's the one place customers are sure to find you 24/7? The campaign for the printed directory runs from January to May and the book is delivered in September each year. If you missed out in the current book, no problem, your details can appear on the website immediately. If you'd like to discuss the available options please contact us to find out how your company can gain maximum visibility 365 days a year, 24 hours a day. 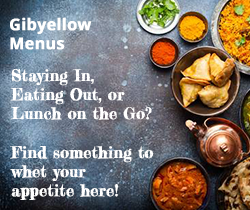 The www.gibyellow.gi web site has been incredibly successful since its launch in February 2002 and the Gibyellow Team constantly strive to keep the website technology up to date. It is a tool that has become indispensable both in the office and at home. With over 35,000 page views each month can you afford not to be here? We have many advertising options available to suit all pockets and if you're interested in seeing how well we perform on the web, ask to see our current traffic stats from Google Analytics.